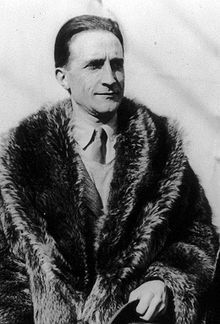 Duchamp, who lived from 1887 to 1968, has been described as both the father of contemporary art and one of the most influential artists of the 20th century. However, the artist and his works are less well known in France than in other countries (particularly in America), and the new Paris show aims to introduce Duchamp to both the French and to international tourists visiting the City of Light. Artists who rely on everyday objects as the subjects for their work—including Surrealists, Pop artists and New Realists—can trace their artistic approaches directly to Duchamp. 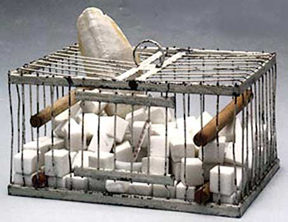 He routinely used commonplace objects that he deemed “aesthetically neutral” to create unexpected, avant-garde imagery. Duchamp also was fascinated by movement, and became a pioneer in kinetic art with a particular focus on pieces that create optical illusions. 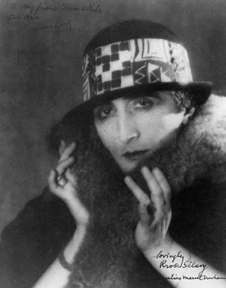 He was so enamored of his female alter-ego that he teamed with Dada and Surrealist artist Man Ray to take a series of photos of Duchamp in drag as Rrose. 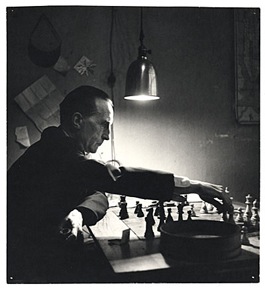 “Marcel Duchamp. La Peinture, Meme” will be shown through Jan. 5, 2015, in the Musee d’Art Moderne’s gallery no. 2. Admission to the show, which is open from 11 a.m. to 9 p.m. Monday and Wednesday to Sunday (closed Tuesdays), is 13 euros for adults and 10 euros for students and senior citizens. The Pompidou Center is located on Place Georges-Pompidou in Paris’s 4th Arrondissement, accessible from the Rambuteau Metro station. This entry was posted in Art, Marais, Museums, Right Bank and tagged Marcel Duchamp, Musee d'Art Moderne, Pompidou Center by Bob Adams. Bookmark the permalink.